Medium: Cast bronze Location: Mercer Island Sculpture Park permanent collection. Also editions in Alaska, Spokane and a private Mercer Island location. Cost: $25,000.00. 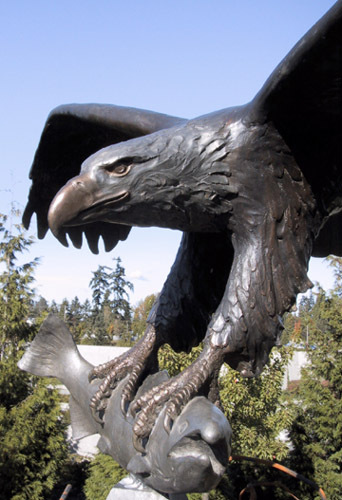 Description: Commission of life-size bronze eagle landing in a stylized nest (that also serves as deterrent to vandalism or theft).